I think that a lot of the people berating the iPhone 6 and iPhone 6 Plus because of the lack of ‘technological advancement’ (in comparison with some of the Android phones currently in the market) are missing out on the whole enticing quality of Apple. As far as I’m concerned, the specs of the new iPhones are great – because I know why I want an iPhone, and I know what I want to use it for. To some techies, however, the brand new members of the fruit family might just seem like pretty packages without much punch. I think this argument is somewhat redundant, because you don’t necessarily buy Apple products to get the latest specs. You buy Apple because it’s glamourous. You buy Apple because iTunes, FaceTime, iWork and iLife. You buy Apple because of the inter-device connectivity. You buy Apple because it’s Apple. And Apple is cool. There’s no point saying that the new iPhone isn’t on par with the new HTC or the new Samsung. Of course it isn’t. That’s like saying a javelin thrower isn’t on par with a sprinter; it’s a silly statement to make. The different devices are completely different boxes of tools, built for different purposes, with different users in mind. We all like different things, and no one is ‘right’ or ‘wrong’ in their choice of technological preference. Next year when my current phone contract ends I will be buying the Apple Watch and the iPhone 6. I appreciate the innovation of the current leading phones and technologies in the market. I appreciate that by that point (May 2015) newer, more advanced and more proficient technology will be available. But I’m an Apple kinda girl. I like flawless design. I like class. I like beauty. (I’m not saying that other companies don’t have these things). I like the elegance and prestige that Apple just oozes: in the business world, in education, in medicine and in the consumer market. And basically, to have a laptop that syncs with my tablet that syncs with my phone that syncs with my watch (and they’re all extremely sleek and attractive), well… I think that’s pretty cool, and a jolly good reason to spend my money. I don’t usually get obsessed with games (not since Burnout 3 Takedown and Sims 2 Pets – both on the PS2). Now with the rising of HD graphics and life like gameplay, I’ve been looking for something that I’d enjoy, an adventure/story game, with different levels and tasks. 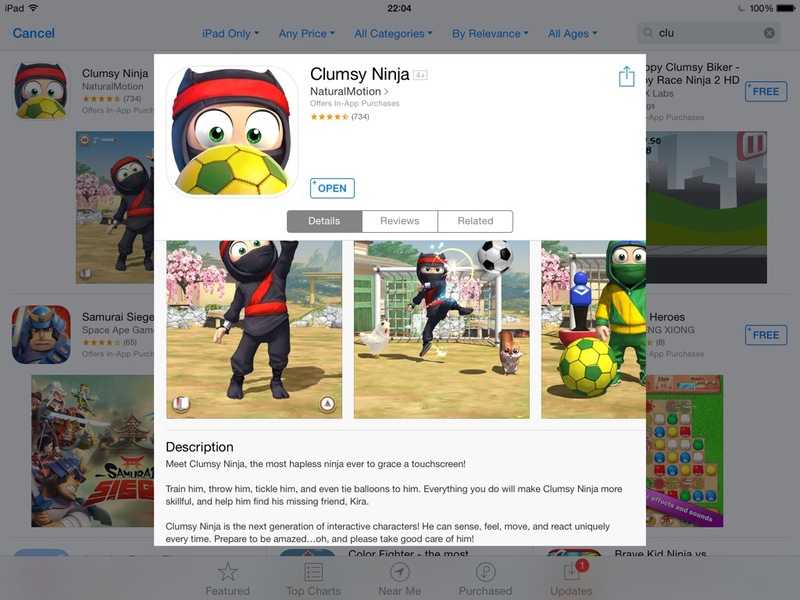 Then I was introduced to Clumsy Ninja, a game which is somewhat similar to having a tamagotchi; you look after, train and play with your ninja. It’s free, and has good reviews so I thought I’d give it a go. 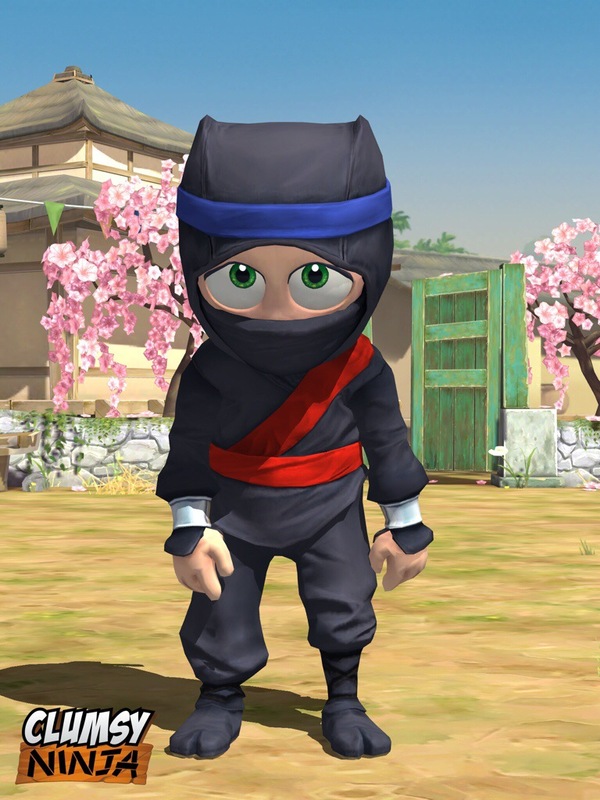 He starts off incompetent, but as you train him he improves and starts to earn different belts, and learns new skills. It’s safe to say that I’m hooked. This game, rated 4+ is suitable for all ages – me, my younger siblings and even my Mum all really enjoy this super cute game. There are 99 levels in total and after two days I’m only on level 12. I take this as a good sign, I like games that last a decent amount of time. I would recommend this game to almost anyone. It’s not scary or violent, but it’s also not babyish or dull. It’s good, clean fun. The quality of the game is good whether you’re playing on a phone or a tablet, though I find that playing it on my iPad mini makes it a bit more enjoyable than on a smart phone, because of the screen size. The game is available on both the App Store and Google Play Store. 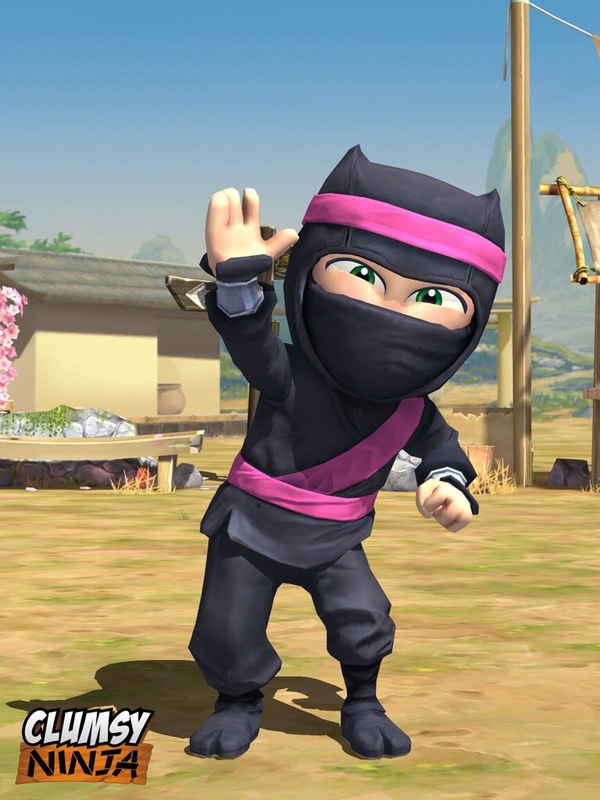 If you can’t be a Ninja, why don’t you just live vicariously through an animated character? And c’mon be honest, who can resist this adorable face?